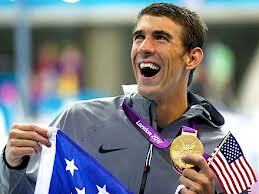 The Fish Man also known as Michael Phelps is coming out of retirement to compete in the Olympics Games in Rio in 2016. Lured by arrogance or just plain boredom, Phelps, the 22-time Olympic medalist will compete for the first time since the 2012 London Games at a swim meet in Mesa, Arizona on April 24-26. Phelps is entered in three events: the 50 and 100 meter freestyles and the 100 butterfly according to his longtime coach, Bob Bowman. The meet will give Phelps an opportunity to compare his skills and performance among other contestants. We will see if he still has what it takes to compete. Link | This entry was posted in Uncategorized and tagged #BobBowman, #Michael Phelps, #Olympics, #Rio. Bookmark the permalink.